Between decorating, cleaning, cooking and fighting the crowds at the mall, even the most cheerful people might start to act like a Scrooge this holiday season. One way to cut down on the holiday stress is to make your Christmas gift shopping easier by shopping for gifts for family online. Wouldn’t it be nice if you entered the mall, the lines disappeared and all of the gifts magically sorted themselves by price or occasion? Well, that won’t happen at the mall anytime soon but through the magic of technology, websites like Wisconsinmade.com let you shop not only by price and occasion, but also by recipient, top sellers, new gifts and more. You can even shop in your pajamas. You might want to brush your teeth first but even that is optional. Shopping for gifts for family instead of individuals will also save time. Rather than spending hours picking out a gift for each person, find something the whole family will enjoy. Food is usually a safe bet. Most families will be purchasing a ham or a turkey at least once this holiday season, so save them some trouble and help minimize holiday stress by shipping a turkey or a ham to your favorite family. 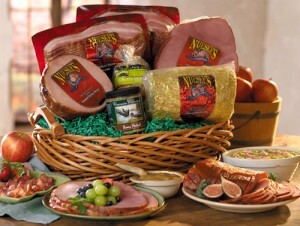 Wisconsinmade.com features apple-wood smoked hams and turkeys that come in several sizes to feed families large or small. The turkeys and hams are beyond easy to prepare because they are precooked, hosts can simply warm meat in the oven or serve cold. 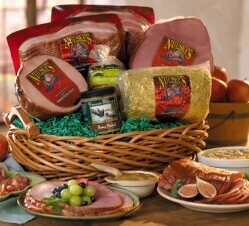 By giving the gift of an easy to prepare family meal, you will make your life easier as well as your recipients.